It’s that time of year where everyone is catching the ick. 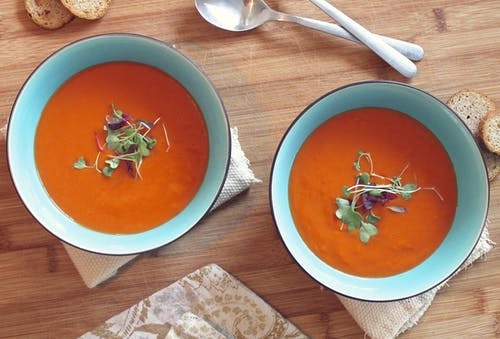 A recipe for tomato soup is sure to get you back to feeling better in no time. Tomatoes have many health benefits. Tomatoes can help with bone health because of the amount of vitamin k and calcium. They also help with blood circulation because of the micrograms of selenium. Looking for more recipes to make for the family? Check out our recipe session. Looking for healthy food tips or things to do with the family? Check out the Fill Your Plate Blog. This entry was posted in Cooking, Diet Tips, Fill Your Plate, Food, Food Facts, Healthy Eating, In the Kitchen, Recipes and tagged Make you feel good, Sick days, Soup, Tomato, Warm. Bookmark the permalink.